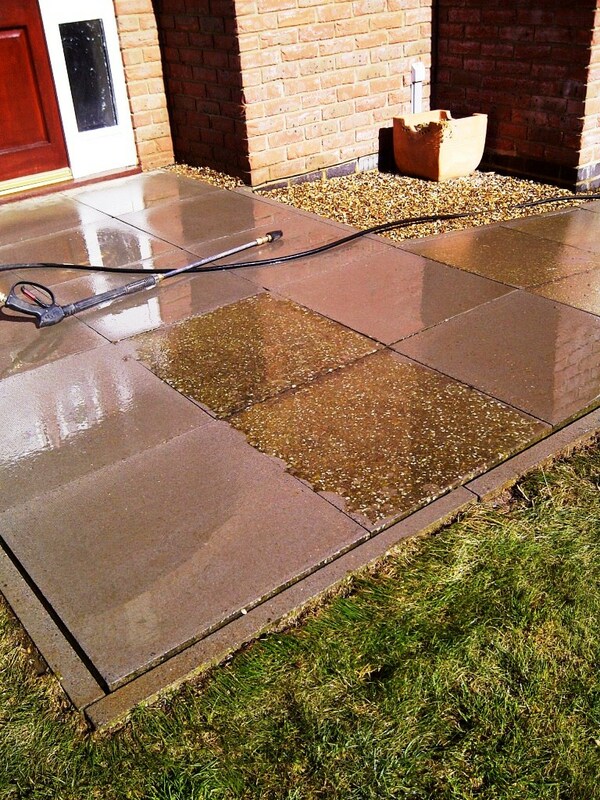 This was a straight forward request to Power Wash Paving Slabs outside a house in Great Oakley. I wouldn’t normally add this to my blog however it occurred to me that a lot of my customers don’t realise Tile Doctor’s have invested in high pressure equipment that can be used externally as well as internally. 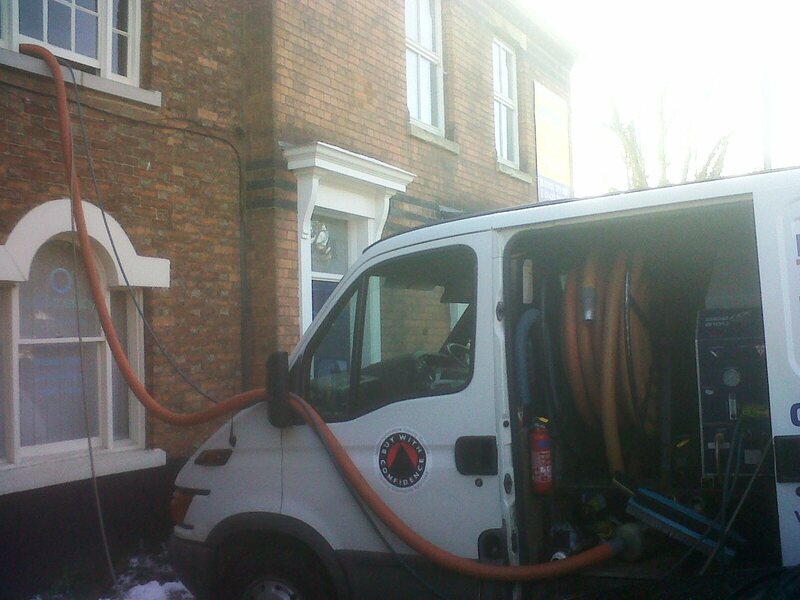 In the photograph below you will see a picture of our van which contains a very high pressure truck mounted cleaning system which can generates pressures far in excess of a domestic system. You can see from the photographs below that we were able to cut through the soil and grime built up on the surface of the tiles without too much trouble, fortunately these were large slabs as you do have to be careful around the joints where too much power can dislodge the mortar in-between the slabs. 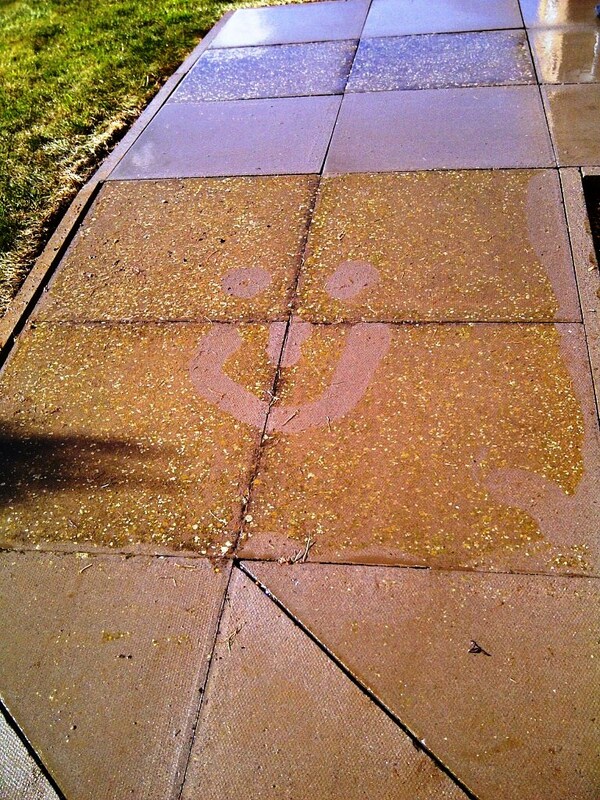 Also working outside does have the added advantage that there is a lot less preparation to do to protect other surfaces. It wasn’t necessary in this case but if you do struggle to clean paving slabs yourself you should apply a strong dilution of Tile Doctor Pro-Clean first and then let it soak in before scrubbing it in with a stiff brush, brick acid cleaners that you can buy in the DIY stores are very strong and you have to be very careful with them where as Pro-Clean is an alkaline product.